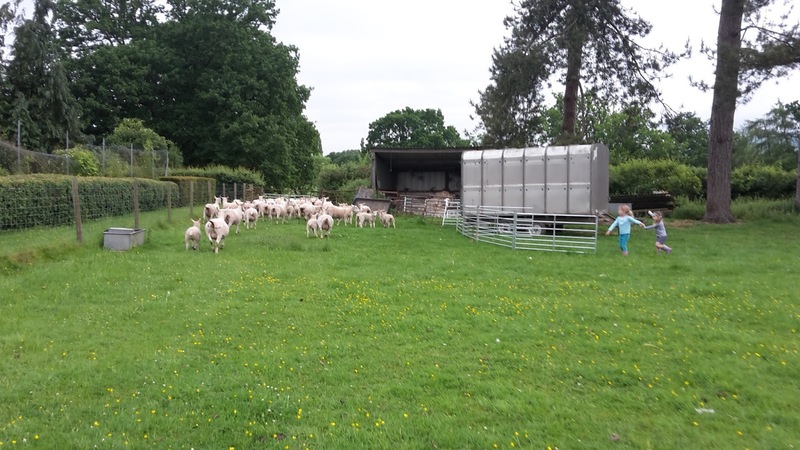 My two girls (5&3) helping me get the sheep in. Kids seem drawn to farming and gardening and the other day I was wondering why. The animals and things are fun but I think it's more the fact that they feel helpful. They can actually help and feel useful when doing tasks, my children are no fools and know if I need them or not. My eldest spent the whole day with me, drenching the sheep, starting a new front garden, planting a big batch of Brussels sprouts out and never moaned once and helped with different tasks, as well as being great company. I remember being useful as a child on my father's farm, I spent so much time with him growing up and I learnt so much from him (and still do!). I hope my children have similar memories! What a lovely time to spend with your girl. i think your kids will be natural farmers! i was always right next to my dad when he was gardens and working on things. I agree children enjoy learning and being useful. I think it makes them feel mature.